As anyone that has ever watched a romantic comedy will be well aware, the path to cinematic true love is always paved with problems. Of the many amorous stumbling blocks placed before film protagonists, the love triangle ranks as one of the most popular, with complicating affection by adding a third option to the mix surprisingly common. Following in the footsteps of the Tamara Drewe, No Strings Attached, Just Go With It, Arthur, Something Borrowed and Bridesmaids already this year, Pierre Salvadori’s Beautiful Lies (also known as De vrais mensonges in France and Full Treatment elsewhere) tries its hand at the age-old narrative entanglement. 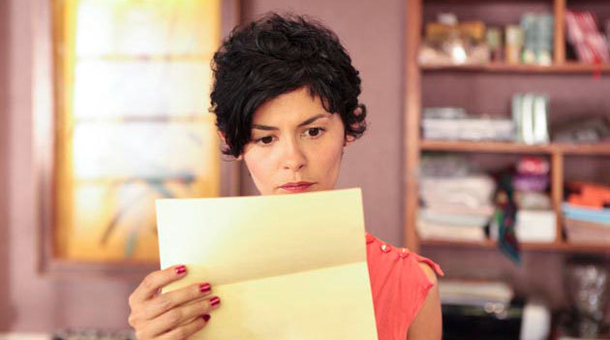 In his seventh big screen offering in a career dating back almost two decades, the writer / director of comedies Cible Emouvante (remade for the British audience in 2010 as Wild Target), Après Vous and Priceless apes the likes of The Graduate and Bridget Jones’ Diary in presenting a trio of intertwined relationships, centring on Audrey Tautou’s (Coco Avant Chanel) pushy salon owner, Nathalie Baye (Tell No One) as her erratic mother, and Sami Bouajila (Bitter Victory) as the over-educated handyman caught in the middle. In his second successive feature with the ever-popular Tautou, Salvadori once again places a considerable amount of emphasis on his leading lady’s charms. Proving a crowd favourite since her breakout role in Amelie, the photogenic thespian is forced front and centre as the apex of the love triangle, with her trademark winning smile and engaging air asked to carry much of the film. Unfortunately, despite the star’s beloved status in cinema and broad international appeal, her current role is far removed from the heights of her previous hits, failing to capitalise upon her strengths. Playing yet another strong-willed femme guided by her instincts, Tautou suffers from the typecasting that has plagued much of her career, yet without the emotional connection or even interest cultivated by her earlier works. Indeed, in a contrived effort that lacks a much-needed flourish of realism, her part is just one of the film’s many unengaging elements and characters. Even the accomplished Baye flounders under the weight of the clunky script, with Bouajila better served in his many passive moments. Whilst the feature offers glimpses of the movie it wants to be, it is unable to perfect the emotional whimsy so obviously aimed for. 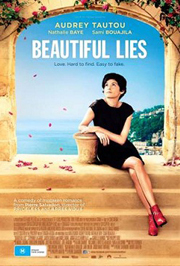 Another in a long line of love triangle rom-coms, Beautiful Lies sticks to the genre’s expected form.